Custom Products for RAM Trucks! Please check out our products! 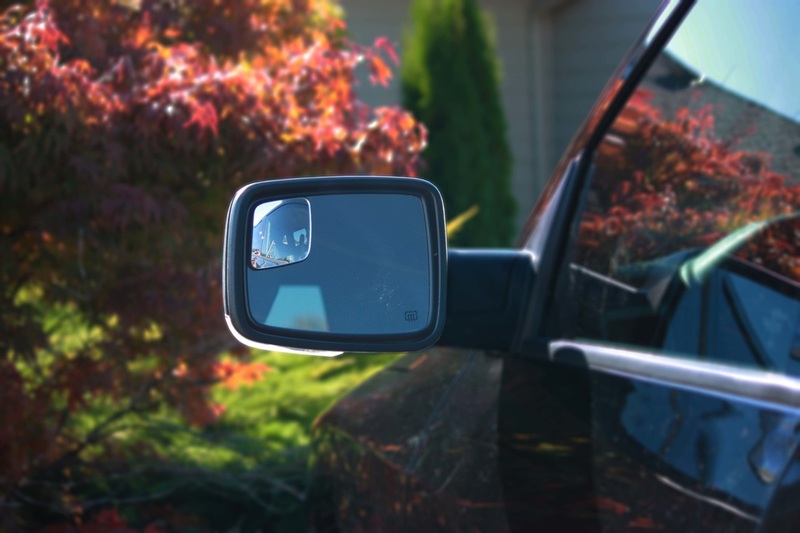 A custom fit blind spot mirror for 4th Generation Dodge - Ram Trucks between 2009-2018 that have the factory non-towing mirrors. Increases the angle of view of the stock mirror while matching the look of the stock mirror. 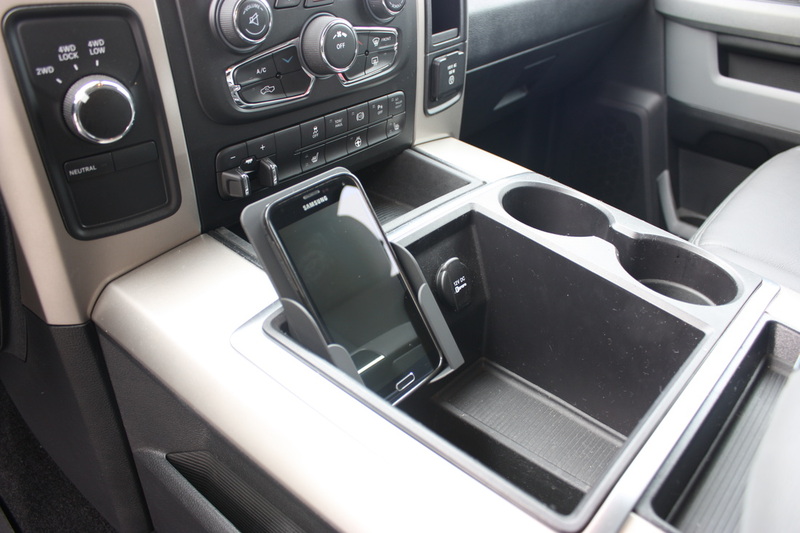 ﻿The perfect compliment to select Dodge - Ram Trucks between 2009 - 2015 that have a business card holder in the console. Convert your business card holder into a phone holder! 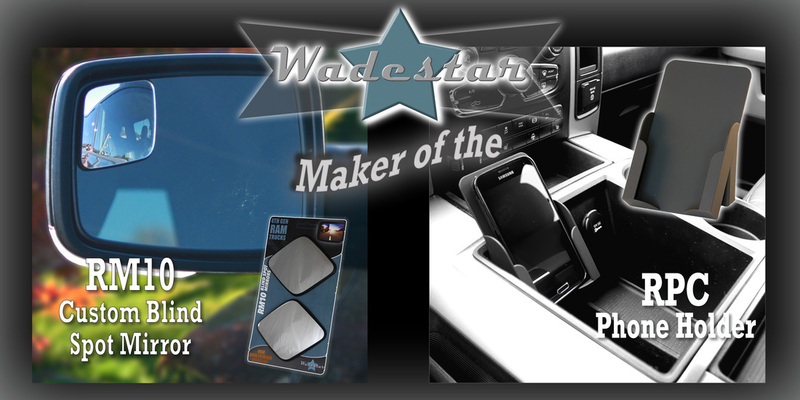 ﻿﻿Thank you for visiting WadeStar Products website. If we can help you at all, or have any questions please feel free to contact me. You can also find these products on Amazon and on eBay. For our neighbors to the North, I ship to Canada on a regular basis so you can shop on this website knowing these products will get to you. Lastly, the images are on this website are owned by Wadestar, LLC so please don't copy them without permission. Thank you!